Girls with Guns® Clothing is located in beautiful Northern California between Redding and Chico, a few hours south of the Oregon border, in the small town of Red Bluff, California. 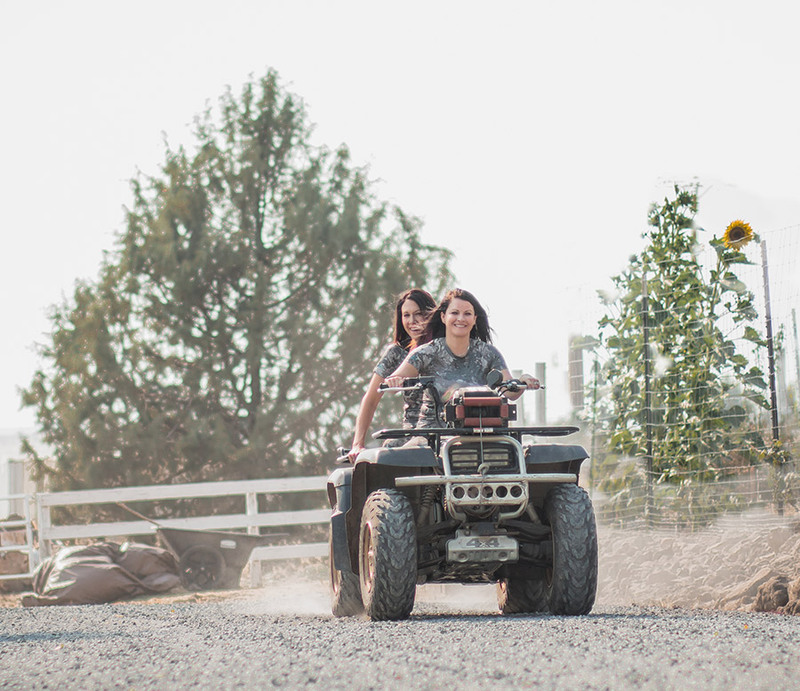 Founded in their garage by two best friends, Girls with Guns® Clothing (GWG®) was born out of a dream and fashioned through a partnership that is one part risk-taker and one part conservative. After nine years of hard work and determination, we are now pursuing our small-town American dream both locally and internationally. This is an amazing accomplishment for us to not only have made it past the hardest part of starting a new business but also to see the progress that our brand has made across the United States and around the globe. We are excited about the new direction our company is taking! We are proud to announce our the launch of our new CCW range wear line and our exclusive new camo pattern, Shade. Girls with Guns® Clothing has always been designed by women for women – we are inspired by those out in the field and on the range, and we strive to perfect and innovate the latest and greatest pieces that fit a woman and are functional for all of your outdoor adventures. As two small-town girls, we are happy to be a part of a movement in our country and small town. We strongly support the rights of gun owners and we are working hard to keep our hunting heritage alive, both in our local community and worldwide. We would never have made it this far without the support of our family, friends, and loyal customers. We live our lives to the fullest just like you do…. It’s our trendy West Coast California lifestyle that separates us from the rest. We know who our customers are, and we are committed to uplifting and uniting all women hunters and shooters. Check out our website, www.gwgclothing.com, for new arrivals and the latest deals. Also, be sure to watch our Facebook and Twitter for the latest news.